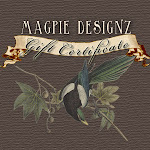 I have been enjoying the slower pace of summer, which gives me more time for creating new designs. I hope you enjoy them as much as I do! Simple, sweet and just adorable! Hang three birthstones from the bottom. HURRY, on sale now until Friday for $30. These rectangular tags have been hammered on the edges for a touch of rustic. A sweet heart charm finishes it off! ALSO on sale until Friday for $32.